Yes … he really did! 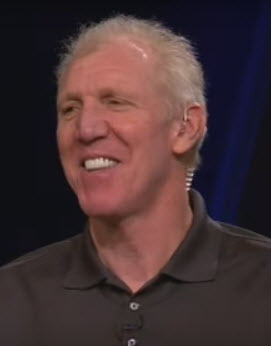 In his interview with sportscaster panelists on ESPN First Take Bill Walton was his usual self spouting interesting and at times, outrageous lines while being highly entertaining in the process. Omigosh. Is that vintage Bill Walton or what? It is a long interview spanning his career, and he expresses regret about some of his Portland days while speaking proudly of his son. However, the surprise is what he asserted about the Ducks and seeing how the panelists were completely caught off guard and were not sure if they wanted to challenge him much. I don’t want to give you all the juicy quotes since the part about the Ducks is only about three to four minutes, but do click the video ribbon at 18 minutes and 13 seconds to lead into the type of fun we have heard on the Pac-12 Network all season. I take back anything deprecating I have said about Walton, although I have enjoyed his Pac-12 telecasts quotes here and here. First, I cannot believe the Ducks won both the regular season championship and the Pac-12 tournament. Then I heard people say we have a shot at the Final Four and then actually get a No. 1 seed … with Bill Walton telling ESPN that we are going to win it all? These are great times my feathered friends! To watch the portion about Oregon — go to 18:13 on the ribbon below the video, click play, and enjoy the other comments he says to shock the panelists about our beloved Ducks. Our thanks go to ESPN for creating this video, allowing it to be shared and keeping us smiling with the antics of our friend from The Conference of Champions!